3% U.S.P. 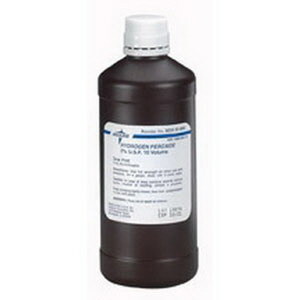 Hydrogen Peroxide is used as a first aid antiseptic and cleansing agent. At full strength, it can also be used to clean minor cuts and abrasions.